Hello! 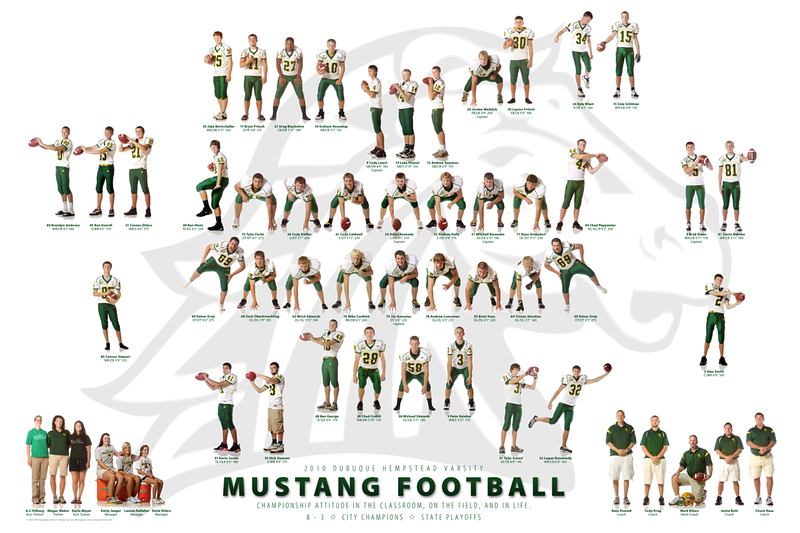 The Mustang Football 2010 team posters are available for purchase. They are 30" x 20" lustre prints. If you're interested in having one, please e-mail me at jane@seejaneshoot.com or call (563) 590-5263. Thank you!! Another excellent poster! I will e-mail you about purchasing this one and the recent one that was shot under trying weather conditions. Great work -- this team is fortunate to have you! !